I stumbled on Perks & Mini - better known as P.A.M., during a random shopping trip to UNION LA back in 2006. The shirt I purchased wasn't groundbreaking - it was in fact a typical representation of what you could expect from Streetwear at the time - Skull graphic on a light purple shirt. I think they eyes were made of crosses (that season's theme was Occult/Illuminati-ish). What did stand out to me was the sheer quality - the shirt itself was thick, but not heavyweight, and was in fact one of the softest shirts I owned at the time. 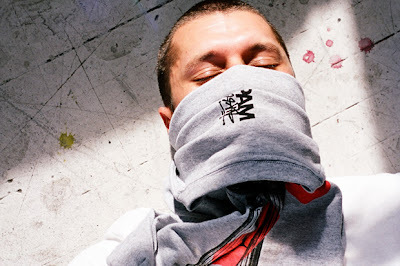 I didn't know it at the time, but P.A.M has a VERY loyal following (think BAPE in the early stages), and I think that was driven by the quality of the goods themselves. This year, P.A.M. and STUSSY collaborated on a playfull Spring/Summer line - including Mens/Womans Shirts, Jackets, and Shorts, which will be hitting select worldwide retailers shortly. Special note for the Hypebeasts out there - P.A.M holds its value very well. I bought the shirt on sale for $20 back in 06, and flipped it for $40 on ebay this summer during an annual closet dump. I for one never purchase clothes (or kicks) for their resale value, call me old-school, but I know a lot of you guys do - and there is nothing wrong with that).